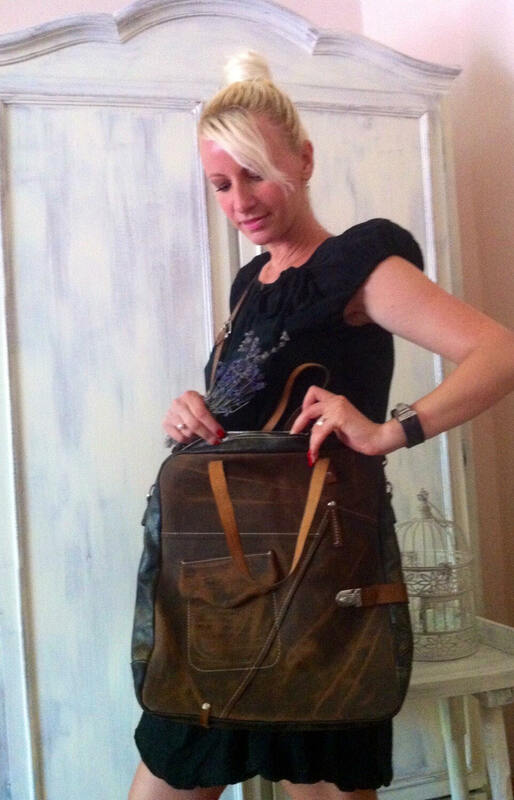 Angel Galileo gorgeous brushed distressed Leather messenger bag, with an industrial raw look, you can carry it on your hand, shoulder or cross body. It has many uniq details, accessories, two pokets outside, two inside. Inside textl is 100% cotton. 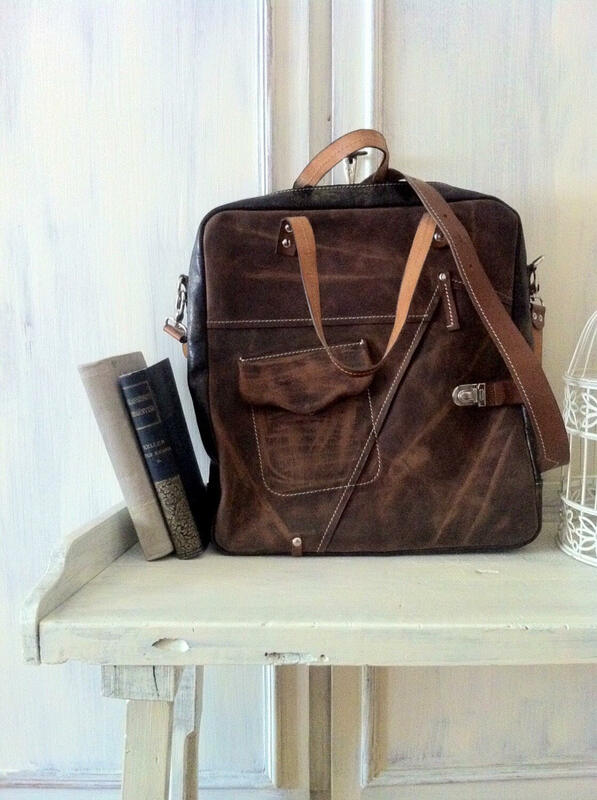 It's a vertical type of bag, very roomy wich can be used for toting your Ipad, carrying you laptop in style, your files if you are a business person or any other things you want to carry in it. It has many interrior details, like zippered pokets, phone leather pokets. 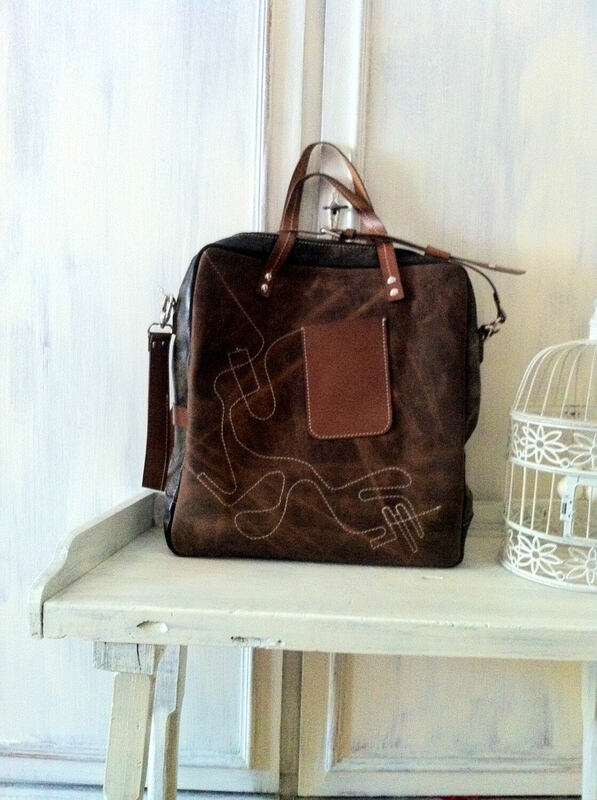 The general design concept of the bag is a non conformist geometrical mix, well defined shapes, earth colours, vintage air, and useful details inside. 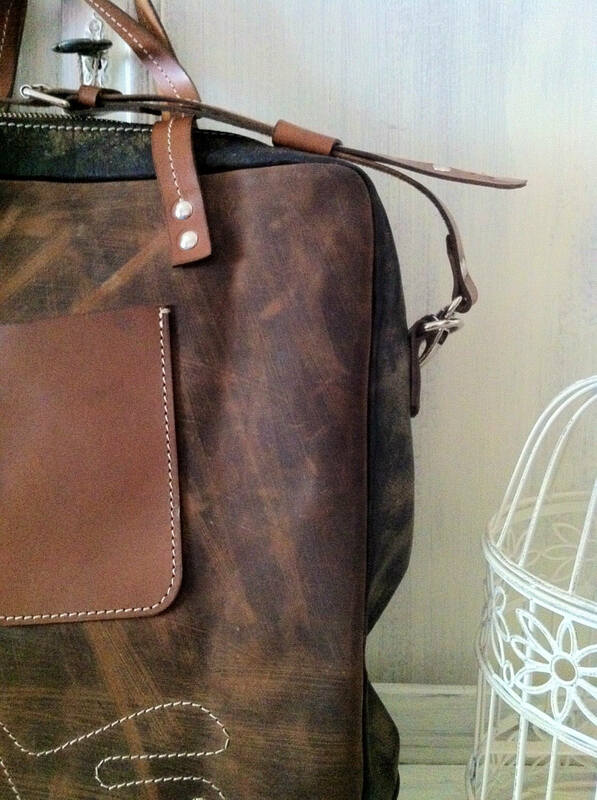 All design details, stittches in contrast, makes this bag unique. 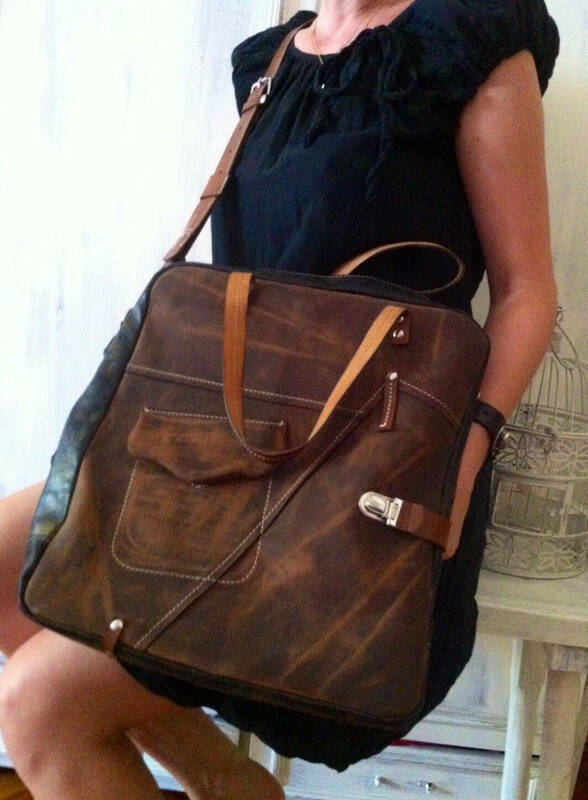 All design details, stittches in contrast, makes this bag a unique office bag.